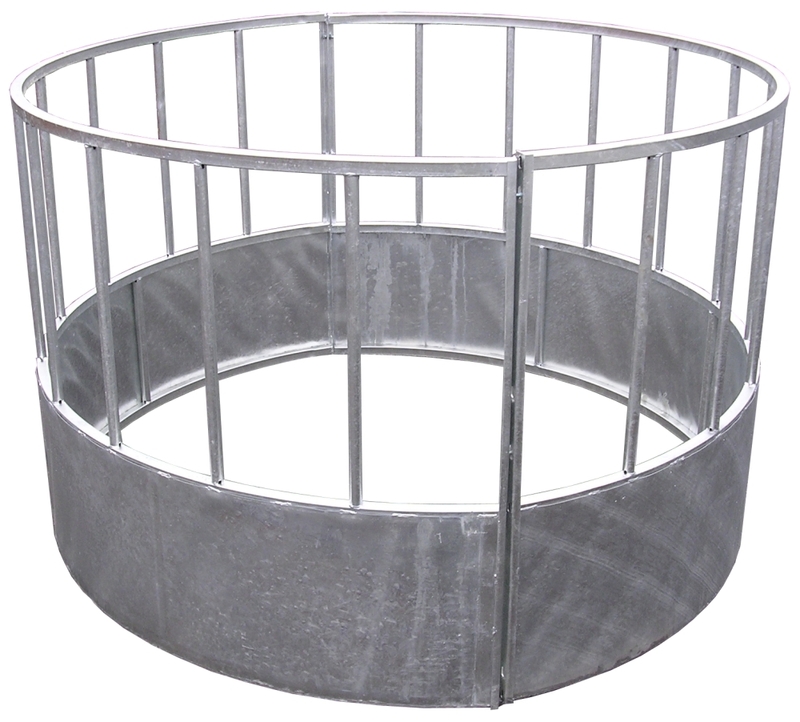 Circular Galvanised Cattle Feeder Standard. 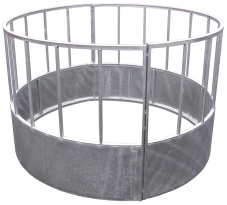 20 feed spaces, 31.75 x 31.75mm RHS horizontals, 30mm dia. tubular vertical rails. Sheet metal base.